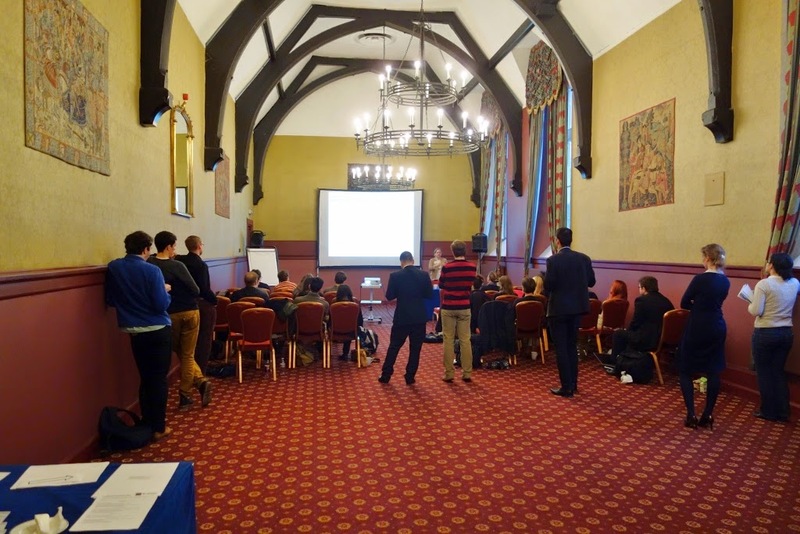 Thanks everybody for attending our fourth ESRC workshop on “Personality and Preferences” in Stirling on Friday November 21st. 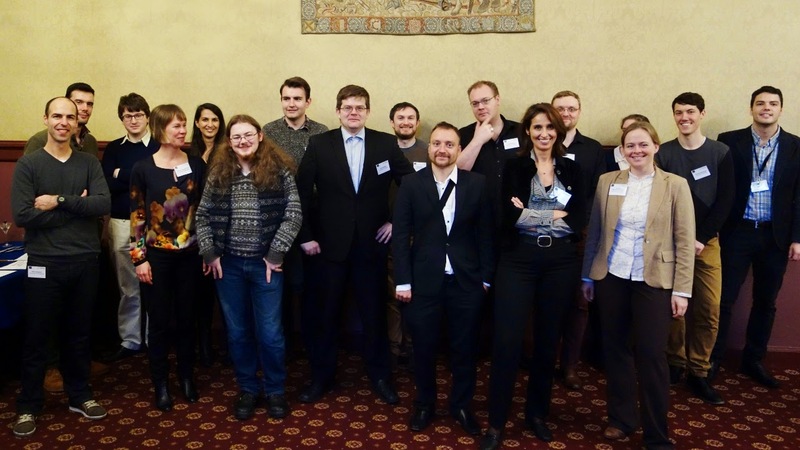 It was the fourth of our six workshops funded by the ESRC that are taking place in 2014/15. The importance of the subjective versus the objective. Average effects versus individual heterogeneity. The differences between the measurement of economic preference parameters in experimental settings versus the psychological measurement of traits using scales and how both approaches can complement each other. The external and internal validity of various economic and psychological measures. Different standards to evaluate the quality of measures in economics and psychology. The use of personality psychology to explain individual differences in biased decision-making. The importance of background variables (e.g. social context) on economic preferences. The question why incentivised experiments are considered best practice in economics. The psychometrics of economic preferences and economic games. The change of preferences and personality over the life course. Preference measures in children and adults. The difference between averages in personality and the distribution of personality. Some more information about the workshop's aims, the abstracts of the talks, and pictures are below. Details of future workshops will be provided via the mailing list, the blog and our twitter account. One of the major challenges in economics is understanding the statistical properties of measures of time, risk, and social preferences and evaluating the validity of such measures. This workshop focuses on empirical research examining economic preferences in laboratory and real-world settings. 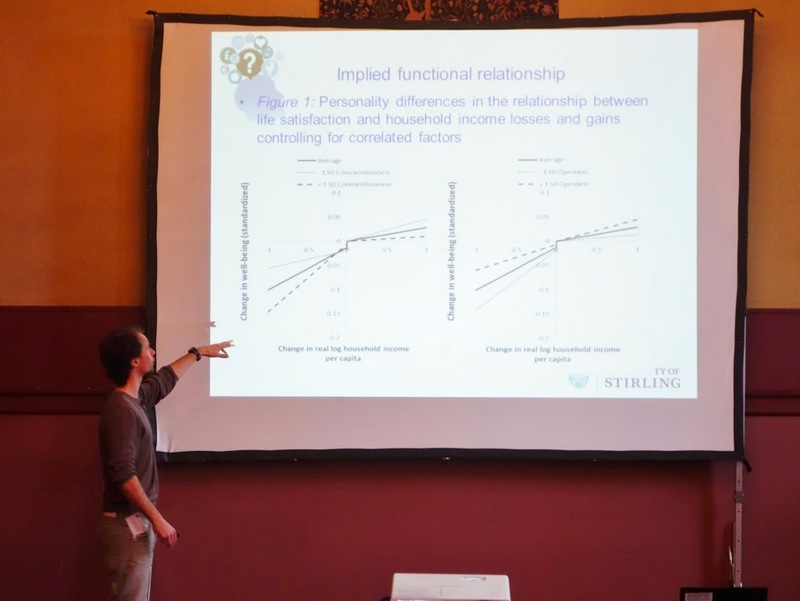 Speakers addressed the reliability of traditional preference measures, their structure across demographic characteristics, innovations in measurement, and links between preference estimates and objective economic and biological measures. We have invited speakers who are engaged in the theoretical and empirical mapping of preference measures to personality traits which have been shown to have substantial predictive validity for important life outcomes (e.g. income, disease morbidity and mortality, employment). 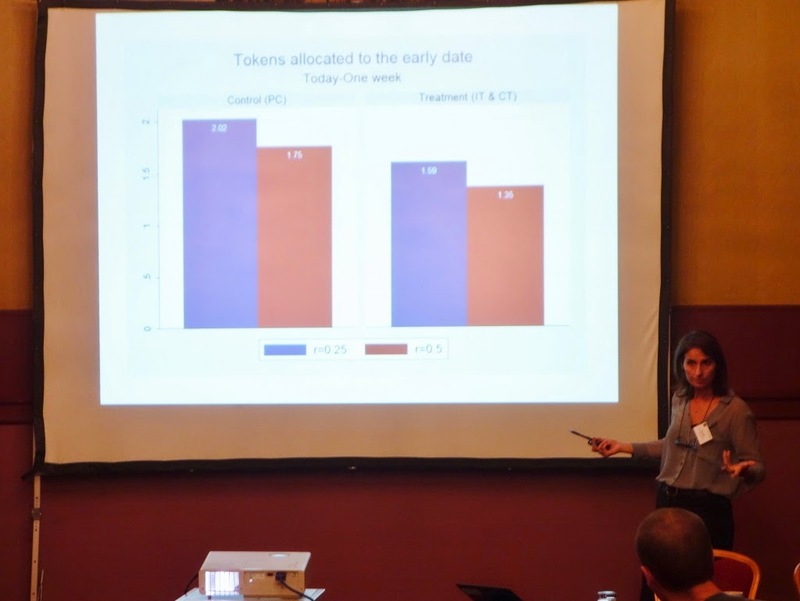 Taken together, this workshop aimed to enhance cross-talk and expand the common conceptual ground that exists between personality psychologists and economists interested in the assessment of preferences in the UK and Europe. Furthermore, aimed to cultivate frontier thinking regarding the future data-collection priorities for social science in the UK and further afield. 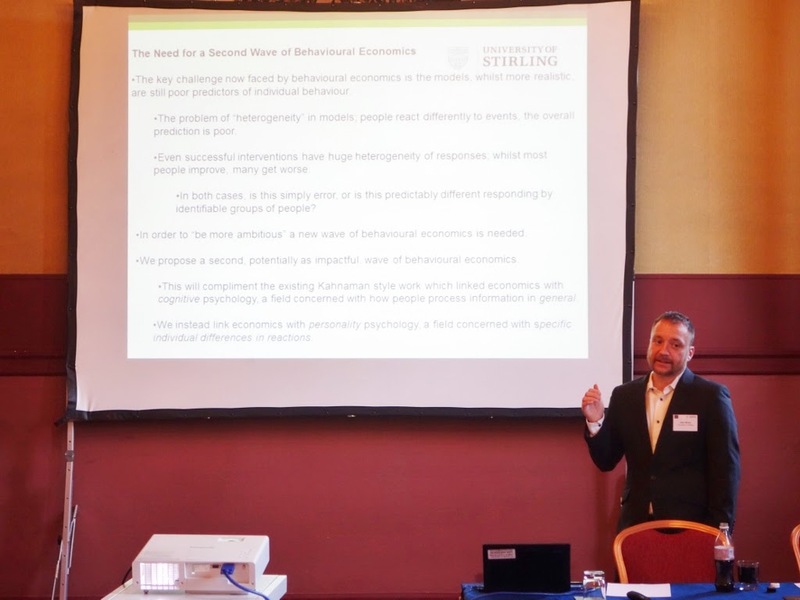 Alex introduced the day's topic and gave an overview of the research conducted at the Centre on preferences and personality, suggesting that we need a second wave of behavioural economics that integrates personality psychology into economics in order to better explain individual differences. 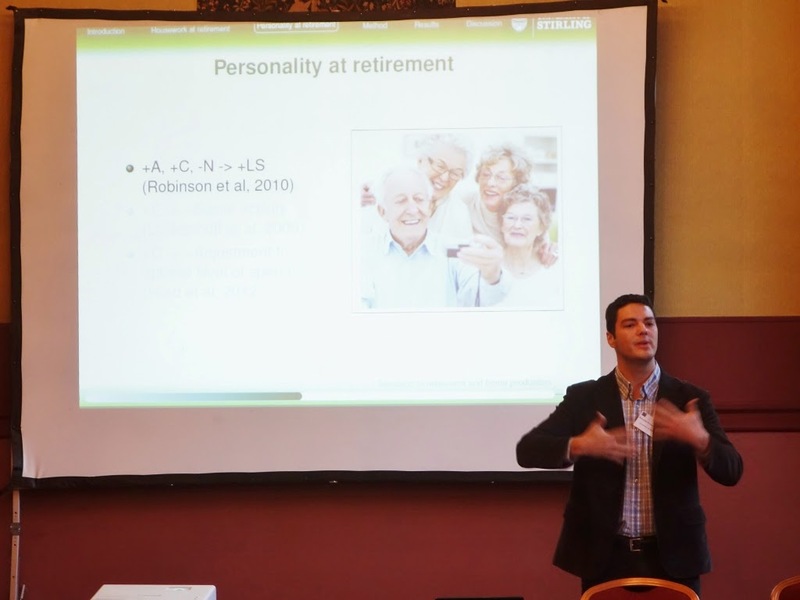 Previous studies on home-production at retirement do not consider the role of individual personality traits on the time retirees devote to housework. Here we examine whether personality determines the heterogeneous changes on the time individuals devote to housework due to a transition to retirement from the labour market. We use British longitudinal data which included individuals’ personality measures, and responses about the amount of hours spent per week on housework tasks. We find a positive change in housework hours for male and female retirees. Personality traits are shown to be more relevant on the explanation of housework changes at retirement than consumption expenditures, household income, and gender. Individual differences in loss aversion: Does personality predict how life satisfaction responds to losses versus gains in income? (with Alex Wood and Eamonn Ferguson). Loss aversion is generally regarded as a pervasive bias occurring regardless of context or decision-maker. No studies have examined the relationship between personality and loss aversion. Here, using data from Germany (N = 18,039), we examine whether the effect of income losses (versus income gains) on life satisfaction differ by personality. We show that, although there are no personality differences in how gains relate to life satisfaction, when experiencing an income reduction people higher on conscientiousness (versus those lower) exhibited larger declines in life satisfaction. Similarly, those lower on openness (versus those higher) experienced larger life satisfaction falls. Our results suggest; (a) important individual differences in loss aversion, (b) personality interacts with socio-economic events to influence life satisfaction, (c) some personality traits may promote resilience in this context, and (d) income relates to life satisfaction only for individuals that experience income losses, and have high conscientiousness or low openness. There is a relatively large empirical literature on individual time preferences for health outcomes. This interest has been stimulated by policy concerns around health behaviours such as obesity and smoking and by the debate on the appropriate discount rate in the case of health outcomes. It could be argued that the literature on time preferences for health has been more innovative in terms of elicitation methodologies used and methodological questions that have been examined. 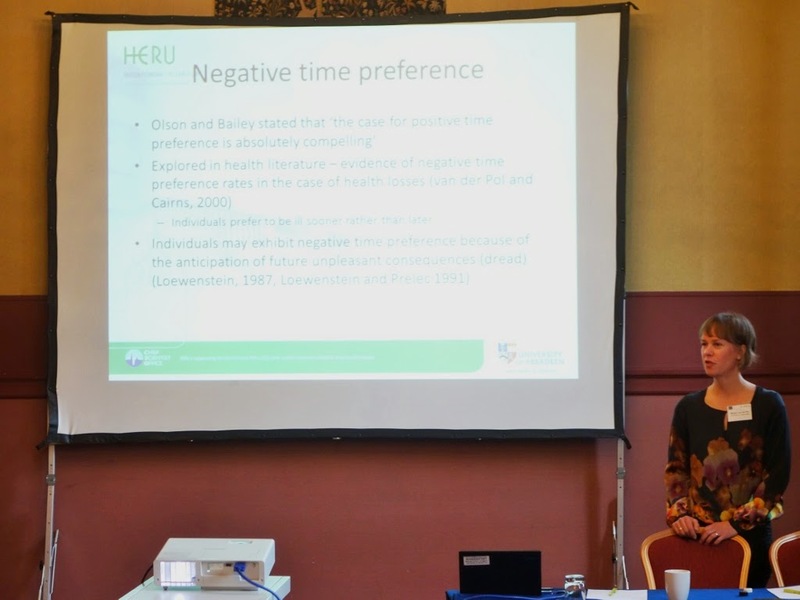 This presentation will reflect on a range of measurement issues that have been observed in the context of time preferences for health including framing effects, decision heuristics and negative time preferences. Measurement issues will be demonstrated using a number of case studies. General lessons for the elicitation of time preferences will be drawn out. The presentation will finish with a discussion around predictive validity: does type of outcome in time preferences tasks matter for the predictive validity of life outcomes such as health? This paper investigates how risk attitudes change over the life course. Even with panel data that span several years, age patterns are generally difficult to identify separately from cohort or calendar period effects. 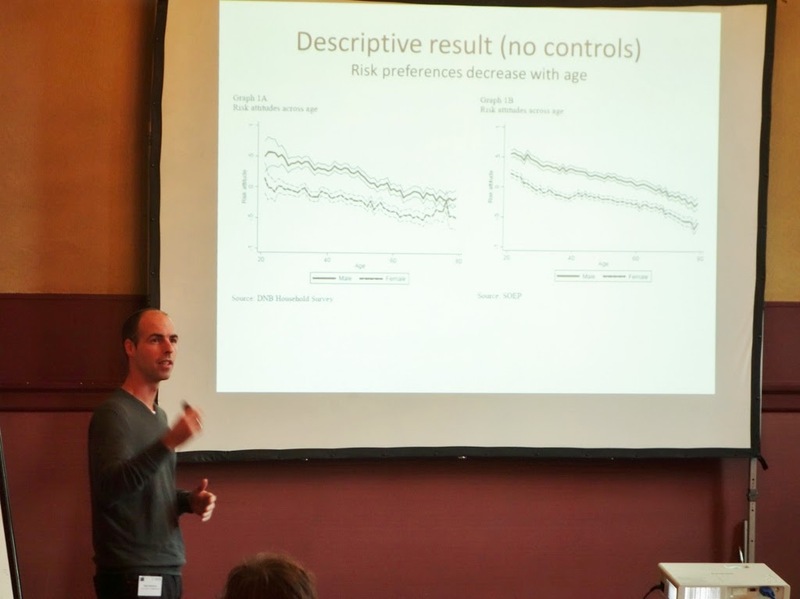 We provide first evidence on the age profile of risk attitudes all the way from early adulthood until old age, in large representative panel data sets from the Netherlands and Germany, using a proxy variable approach to achieve identification. The main result is that willingness to take risks decreases over the life course, linearly until approximately age 65 after which the slope becomes flatter. Measuring ambiguity preferences (with David Schroeder Birkbeck). Ambiguity preferences are important in explaining human decision-making in many areas in economics and finance. To measure ambiguity preferences, the experimental economics literature advocates using incentivized laboratory experiments. However, in many circumstances, carrying out complex lab-experiments is not feasible. In this paper, we evaluate the ability of thought experiments and attitudinal questions to generate a behaviourally valid measure of ambiguity preferences. We find that a small set of thought experiments and attitudinal questions can serve as an alternative measure when carrying out laboratory experiments is impractical. 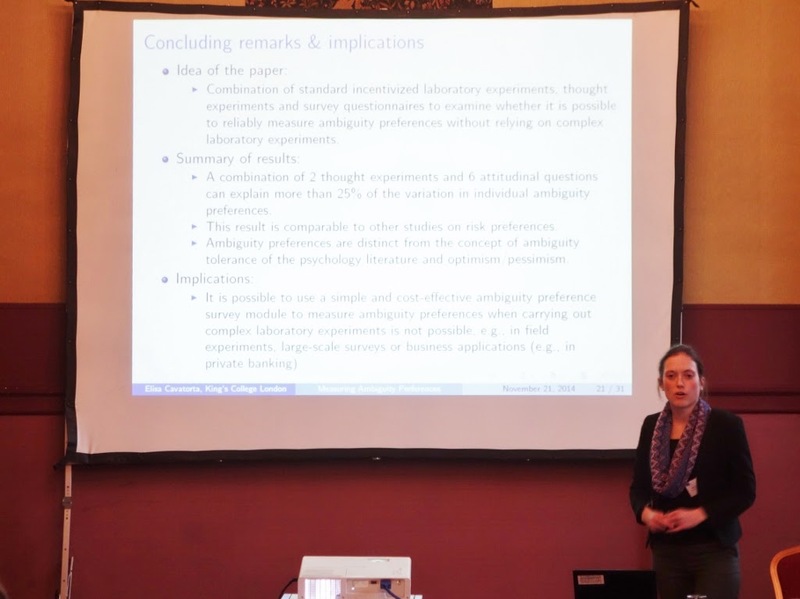 Our results can be useful in many situations that require measuring ambiguity preferences in an easily implementable and cost-effective way, such as large surveys, field experiments, or everyday business and finance applications. How does parental socio-economic status shape a child’s personality? (with Thomas Deckers, Armin Falk, Fabian Kosse). We show that socio-economic status (SES) is a powerful predictor of many facets of a child's personality. The facets of personality we investigate encompass time preferences, risk preferences, and altruism, as well as crystallized and fluid IQ. We measure a family's SES by the mother's and father's average years of education and household income. Our results show that children from families with higher SES are more patient, tend to be less likely to be risk seeking and more altruistic, and score higher on IQ tests. 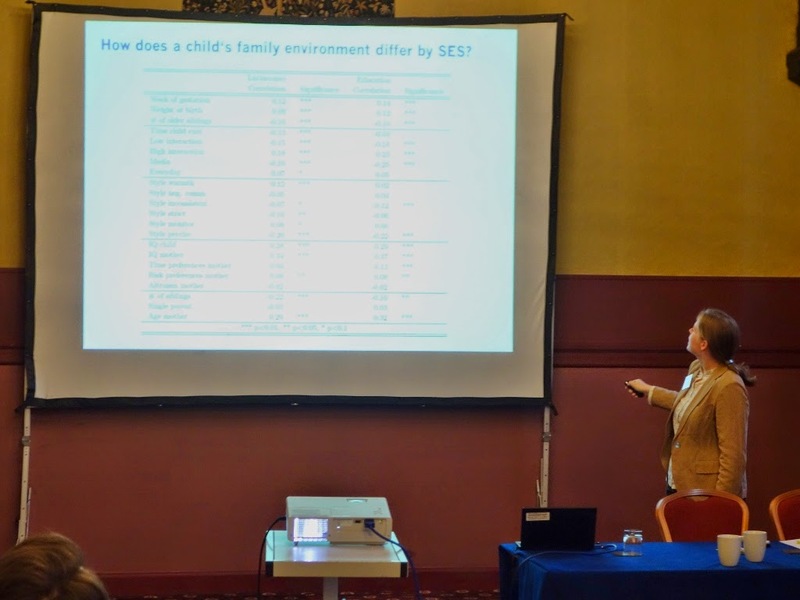 About 20 to 40% of this relationship can be explained by dimensions of a child's environment that are shown to differ by SES: parenting style, quantity and quality of time parents spend with their children, the mother's IQ and economic preferences, a child's initial conditions at birth, and family structure. Moreover, we use panel data to show that the relationship between SES and personality is fairly stable over time at age 7 to 10. Personality profiles that vary systematically with SES offer an explanation for social immobility. In a companion study, we present evidence on a randomly assigned variation in life-circumstances, providing children with a mentor for the duration of one year. Our data reveal a significant increase in altruism in the treatment relative to the control group. These findings thus provide evidence in favor of a causal effect of social environment on the formation of altruism. Moreover, we show that enriching life-circumstances bears the potential to close the observed developmental gap in altruism between low and high SES children. We report results from a randomized evaluation of a unique educational intervention targeted at elementary school children in 3rd and 4th-grade in Turkey. The program, which lasts eight weeks, uses case studies to discuss issues related to forward looking behavior, improve the ability to imagine future-selves and evaluate different contingencies arising from different actions, supplemented by classroom activities supervised by trained teachers. We find that treated students make more patient intertemporal choices in incentivized experimental tasks. The effect is stronger for students who are identified as present-biased in the baseline. Furthermore, using official school administrative records, we find that treated children are significantly less likely to receive a low “behavioral grade”. These results are persistent one year after the intervention, replicate well in a different sample, and are robust across different experimental preference elicitation methods. 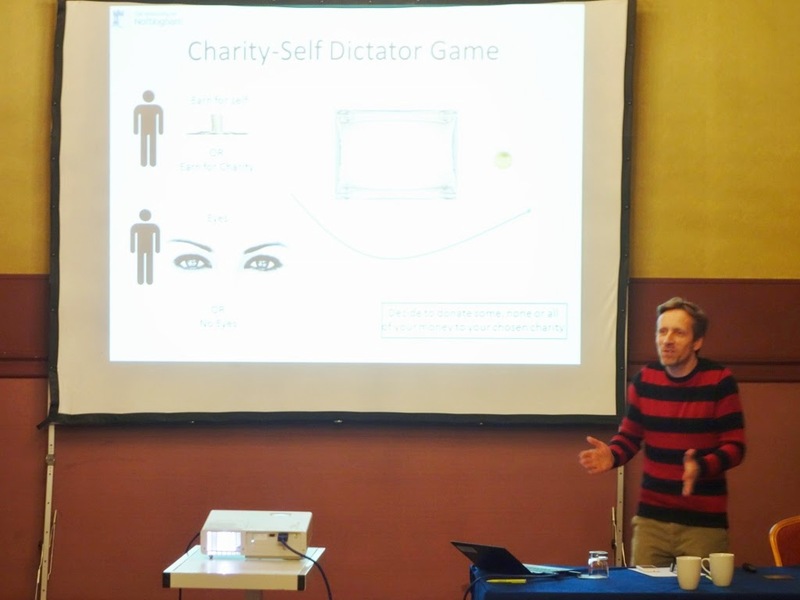 In his presentation, Eamonn highlighted some differences between personality psychology and economic preference elicitation procedures and suggested to apply psychometric principles to economic games in order to better understand what these games actually measure, showcasing his recent research on social preferences elicited through economic games such as ultimatum and dictator games.